It was “King Lear”—with Lear’s madness, Gloucester’s blinding and Cordelia’s murder—that seemed to trouble Shakespeare’s early critics the most. To safeguard English sensibilities, yet another poet laureate, Nahum Tate, offered up his talents. He gave “King Lear” a happy ending, restoring Lear to mental health and marrying Cordelia off to Edgar. Tate’s adaptation was such a crowd-pleaser that the original disappeared from the stage for more than 150 years. Americans remained wedded to happy “Lear” until Edwin Booth insisted on staging the original in 1875. Voltaire (1694-1778), who didn’t share Pepys’s weakness for pretty faces, denounced “Hamlet” for being so absurd one might think it “the fruit of the imagination of a drunken savage.” Still, the French philosopher loved and hated Shakespeare equally, having translated his works into French (with the usual perverse meddling and “improvements”). One of the most advanced cases of WAMS belonged to Leo Tolstoy. Rereading Shakespeare in old age, the Russian writer of “War and Peace” declared that the plays made him feel “repulsion, weariness and bewilderment.” In an essay published in English in 1906, Tolstoy insisted that anyone who praised “Lear” had to be delusional. Like Tolstoy, George Bernard Shaw took exception to Shakespeare’s lack of proper moral purpose, “his complete deficiency in that highest sphere of thought.” He took Shakespeare to task for being “an ordinary sort…a narrow-minded middle-class man”—an observation perfectly suited to the mind of a middle-class socialist such as Shaw. 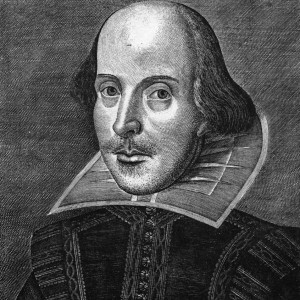 Since then, outright Shakespeare haters have largely faded from view, but WAMS still endures. The distinguished Shakespearean actor Ian McKellen surprised fans last year by telling them not to “bother” reading Shakespeare and just to see the plays staged. Could the critics have been bullied into silence? That is certainly the view of the main character in Arthur Phillips’s 2011 novel “The Tragedy of Arthur,” who declares: “I have never much liked Shakespeare…I wonder if there isn’t a large and shy population of tasteful readers who secretly agree with me.” The current Broadway hit “Something Rotten” includes a song called “God, I Hate Shakespeare,” which takes aim at the “twits” who “prattle on about his great accomplishments.” Do audiences quietly agree that, as the song has it, “He’s a hack”?